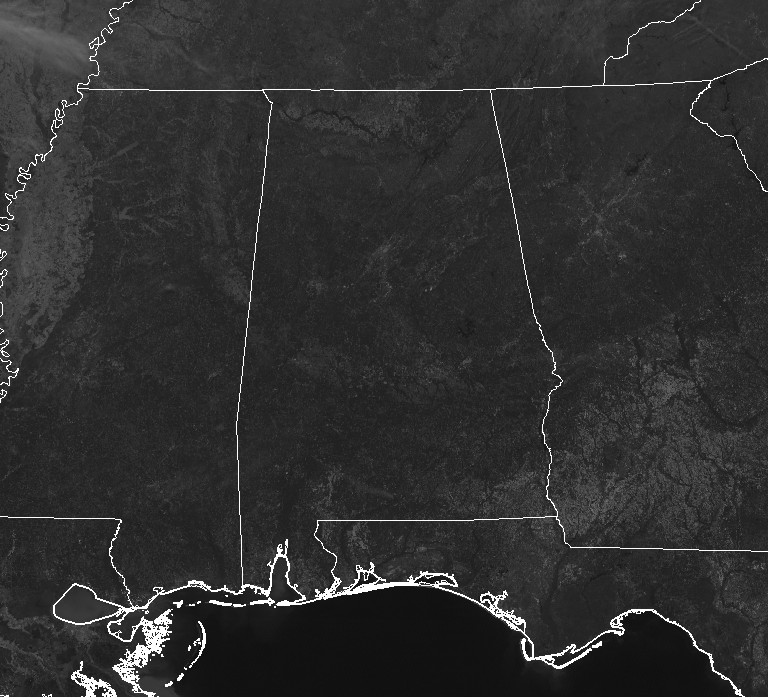 It’s another beautiful day across Central Alabama as we have maximum sunshine and nice temperatures. Readings across the area are showing upper 60s to the lower 70s at this time, with Tuscaloosa leading the pack at 73 degrees. A few locations were tied as the cool spots at 68 degrees. Birmingham was at 72 degrees. Another “Chamber of Commerce” day across Central Alabama for the remainder of the afternoon and into the early evening hours. Temperatures will be warm, topping out in the upper 70s to the lower 80s across the area underneath sunny skies. Winds will be out of the south-southwest at 5-10 MPH. For this evening and through the overnight hours, skies will be clear with very light south-southeasterly winds. Lows will be in the lower to mid-50s. 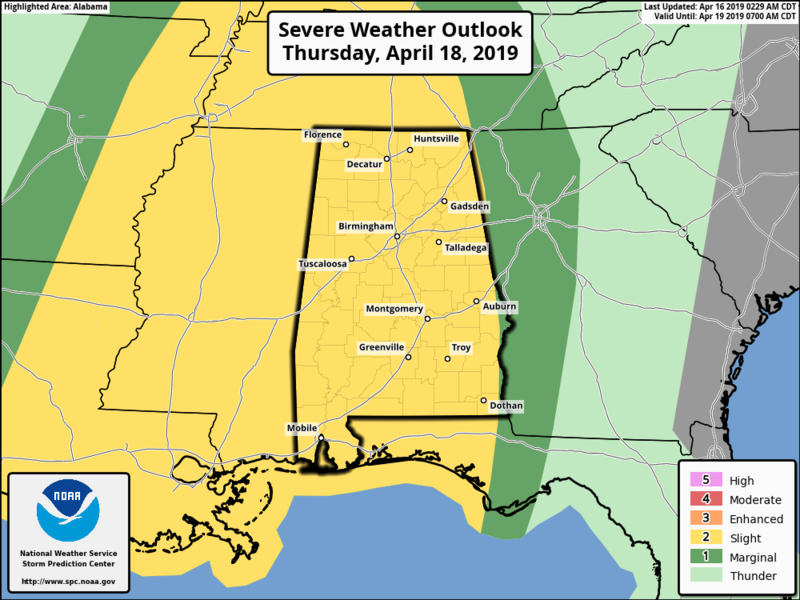 We’ll start off the day with mostly clear skies, but as the system that will bring us the potential for strong to severe storms on Thursday moves closer to the area, we’ll have clouds increasing throughout the day, especially late. We will stay dry throughout the day with highs topping out in the upper 70s to the lower 80s and lows into the upper 50s to the lower 60s across the area. Another potent system will move across Central Alabama on Thursday that will bring us the potential for strong to severe storms, mainly from around 3:00 pm to around 6:00 am on Friday morning. Tornadoes, damaging winds up to 60 MPH, and quarter-size hail are the main risks with this event. SPC has nearly the entire state in a Slight Risk for severe storms on Thursday (valid through 7:00 am Friday morning). There will be heavy rain with this event as well, as high as 1.00-2.00 inches, but should keep any flash flooding issues isolated and mainly to low-lying and poor drainage areas. As the high-resolution models come in for this event, we’ll be able to have more precise timing and details. We’ll keep you posted. Get the latest weather and rip current forecasts for the beaches from Fort Morgan to Panama City on our Beach Forecast Center page. There, you can select the forecast of the region that you are interested in. ALREADY OFF TO A HOT START IN 2019! ADVERTISE WITH THE BLOG! We have enjoyed over 7.3 MILLION page views on AlabamaWx.com so far in 2019! Don’t miss out! We can customize a creative, flexible and affordable package that will suit your organization’s needs. Contact Bill Murray at (205) 687-0782. 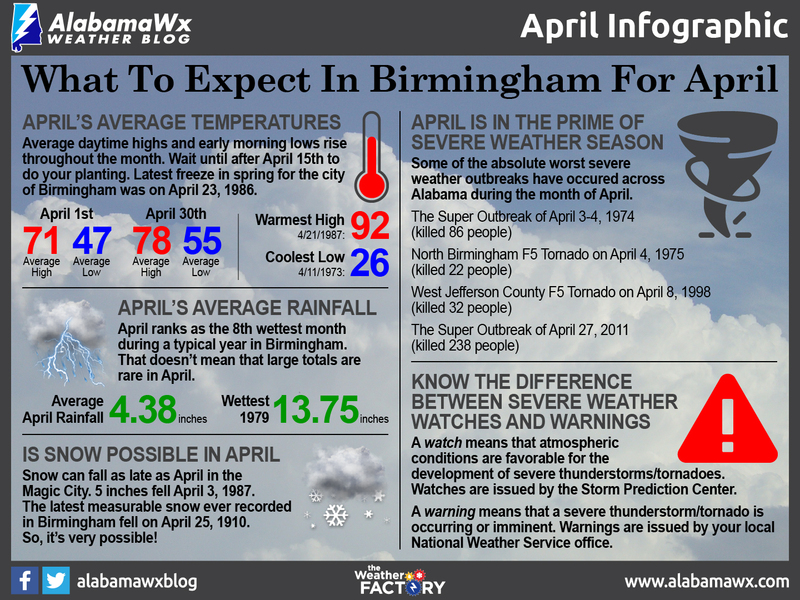 Get the Alabama Wx Weather Blog’s Seven-Day Forecast delivered directly to your inbox by email twice daily. 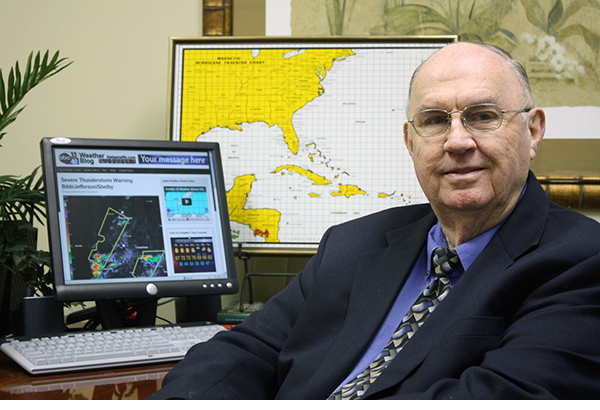 It is the most detailed weather forecast available in Central Alabama. Subscribe here… It’s free! 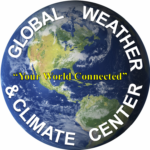 Don’t forget you can listen to our weekly 90 minute netcast anytime on the web at WeatherBrains.com or on iTunes, Stitcher, or Spotify. This is the show all about weather featuring many familiar voices, including the meteorologists at ABC 33/40.